Errington Realty is dedicated to providing you with friendly, professional service to make buying and selling your home stress free. "If you are working with one of our agents, you are working with all of our agents." We work as a team to make your real estate experience a pleasant memory. 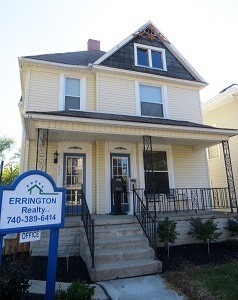 "We are pleased to offer FREE access to the Marion, OHIO MLS - Multiple Listing Service - for my website visitors. Look at the complete real estate listings at your leisure." See it all....then call..... to view any property! Errington Realty and all their agents are ready to show you any real estate listing in the Marion and surrounding areas!